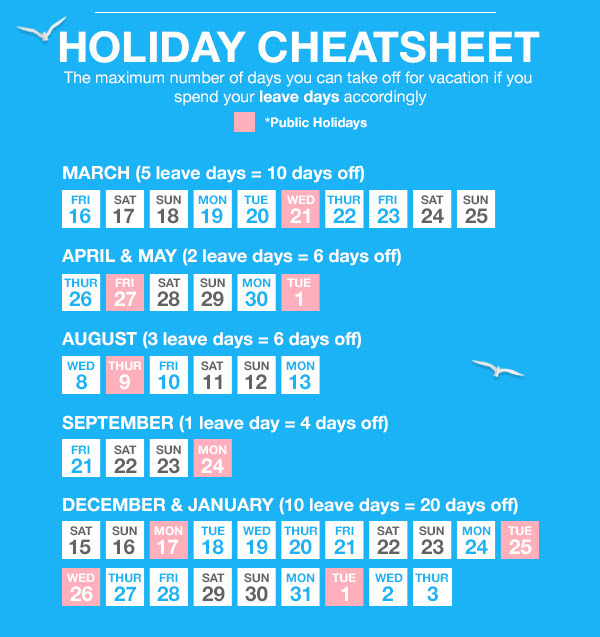 Did you know that the public holidays in 2018 are so strategically placed that by taking just 11 days of leave from work, you could end up with 34 glorious days off? Guys, I am so excited about this. 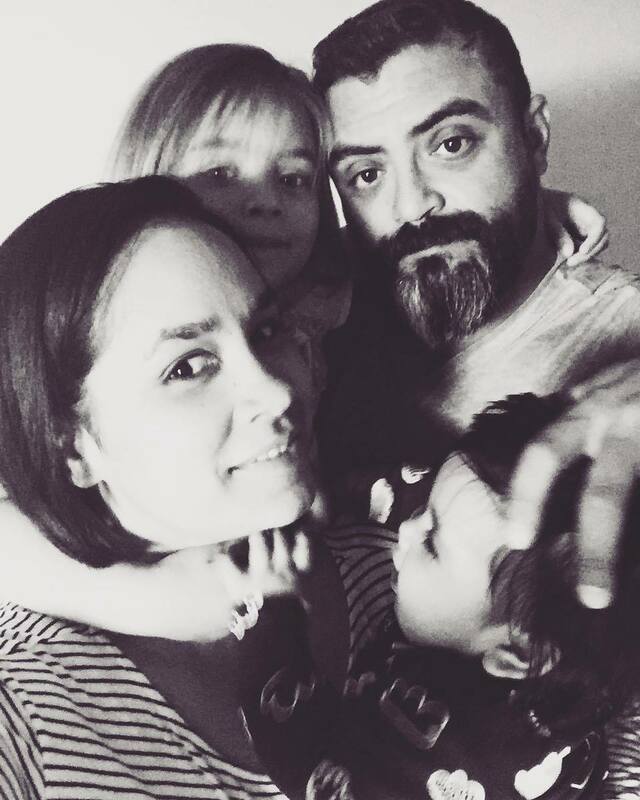 2018 is the year we are planning a BIG family holiday. 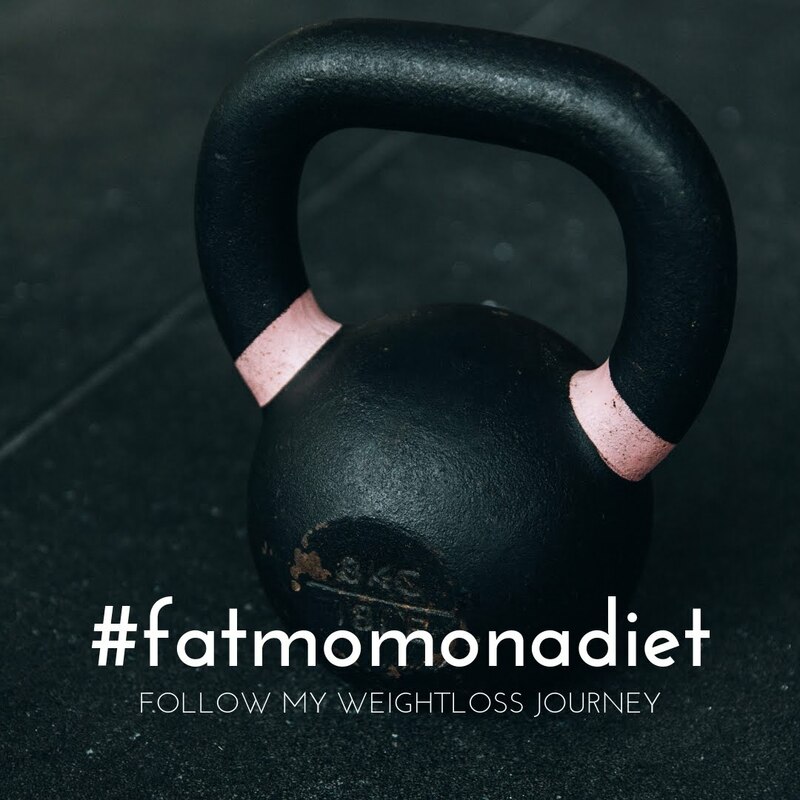 While December may be the time that everyone is looking for Flights to Cape Town, we are trying to decide between a self-drive road trip to Mozambique or an 8-day trip to Bali. 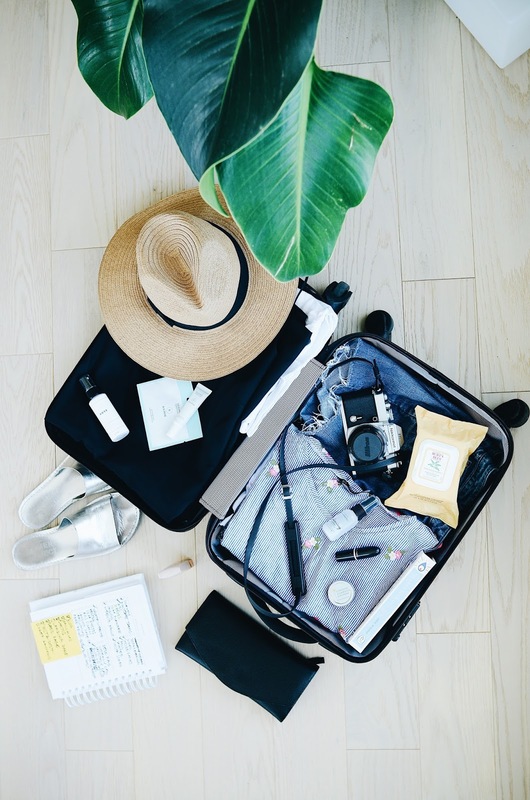 As you can see, March and December are the best months for longer holidays, but the whole year is jam-packed with ample opportunity to pack your bags and unwind. A little-known fact about me is that I really dislike the beach, so where does a non-beachy person go for a break? Easy: we go into the mountains. Situated at the foot of the Matroosberg Mountains, this 100-year-old cottage is the absolute definition of "getting away from it all. If you are brave enough to visit in the winter months, you may even be blessed with a bounty of snow. 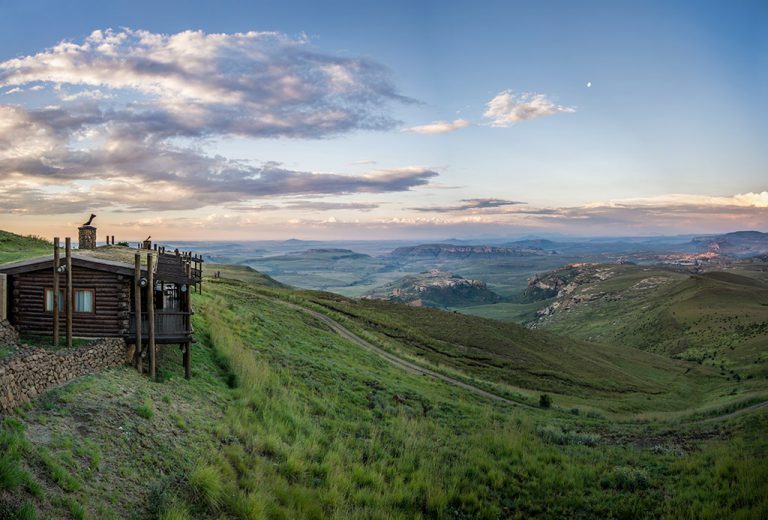 Nestled in the beautiful Wilderness of the Eastern Cape, Stone Mountain Lodge is a dream come to life. 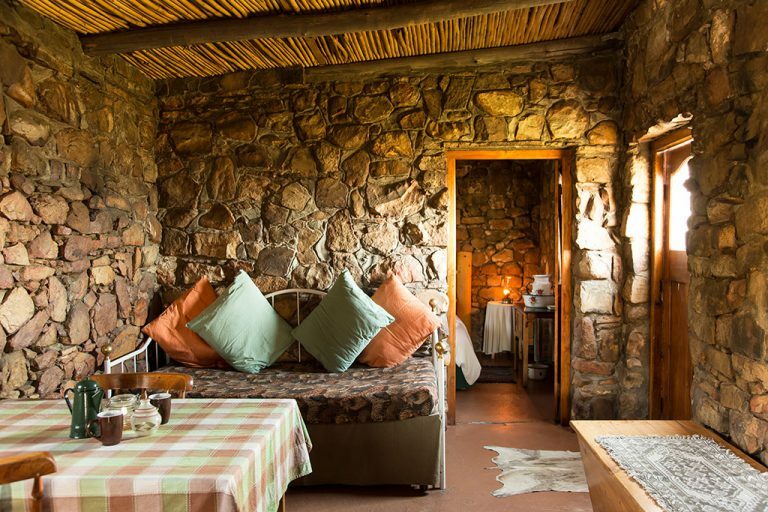 Built from materials on hand and with lots of windows, the Stone Mountain Lodge has spectacular views over the Karoo and surrounding mountains. Spend your days exploring the trails which lead you through picturesque gorges dotted with ancient cycads. Swim in icy mountain pools or simply relax on the luxurious couch in front of a roaring log fire. Sounds amazing, right? The lodge was built to ensure a very low carbon footprint and is set high in the Schoemanskloof mountains. Every chalet has its own private Boma area and deck to enjoy those BREATH-TAKING (I mean honestly!) views. 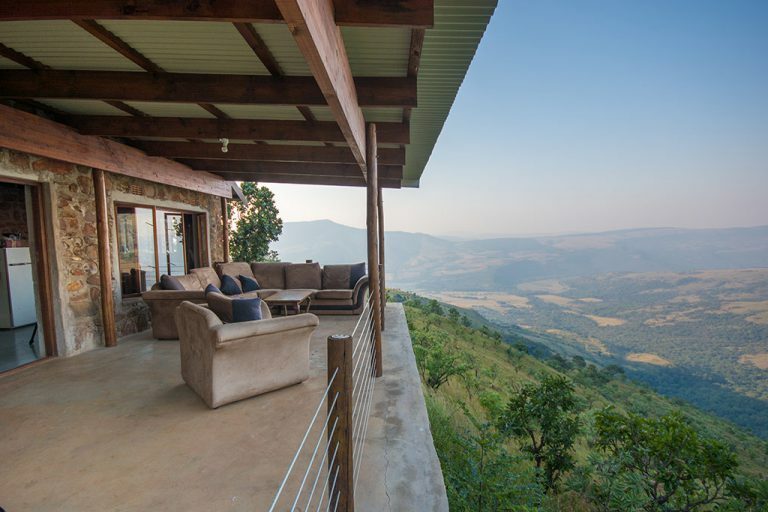 Wolwekrans Eco Lodge offers hiking, game viewing, bird watching, star gazing, mountain bike trails and waterfall exploration.This lodge will be ticked on your bucket list once you see the view. 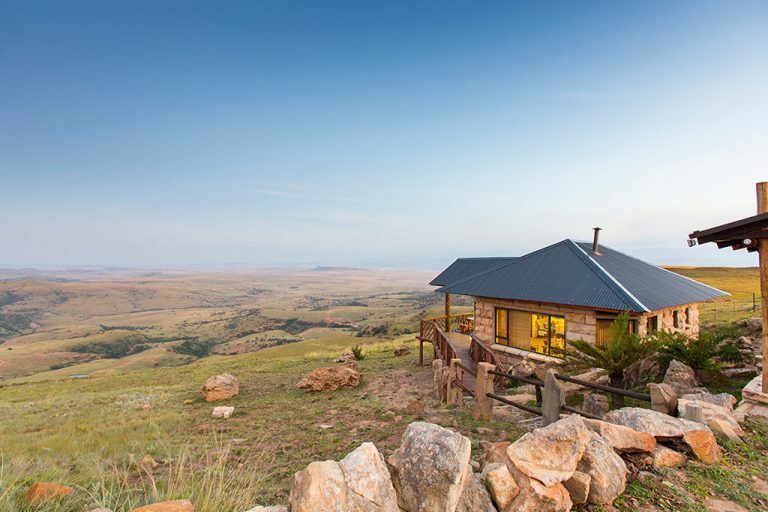 Situated on the Retief Pass, Dumbe is a stone, 2 sleeper cottage with surprising views of times gone by. Dumbe offers comfortable accommodation in one double room (sleeping two). The ideal, romantic break away for a couple.How gorgeous does that view look? Situated along the Rheenendal Road, a scenic 15-minute drive from Knysna, on the Garden Route you will find the Cliffhanger Cottages. 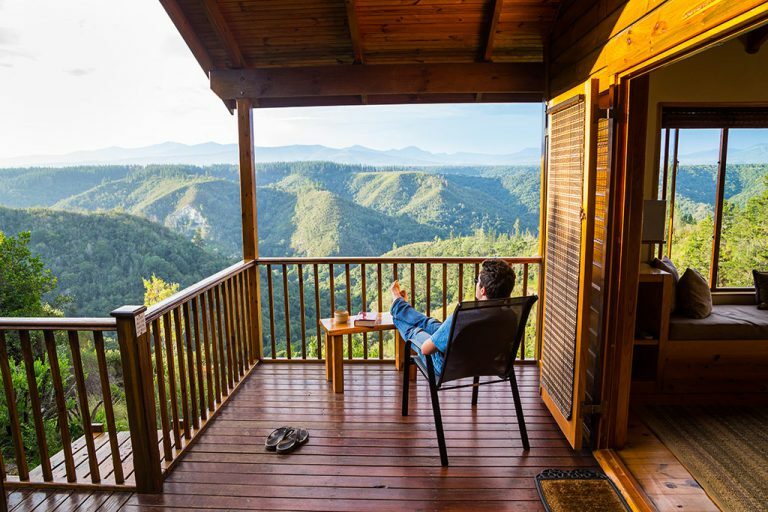 Two self-catering cottages are nestled on the edge of a valley, overlooking the forest canopy with breathtaking views of the Outeniqua Mountains. 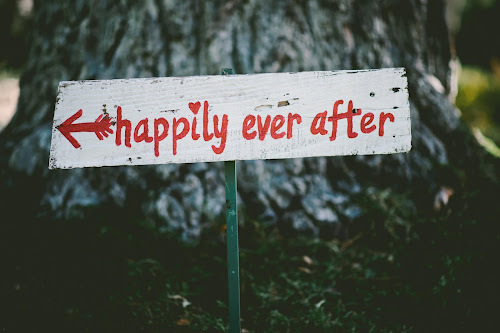 This romantic, private hide-away is set in peaceful, unspoilt surroundings. Both the timber cottages spoil you with spacious and comfortable interiors, great attention to detail and feature a beautiful ceramic fireplace to warm you on those chilly winter evenings. Close your eyes and allow your senses to totally relax. Breathe in the crisp, fresh mountain air and slowly allow your eyelids to open. 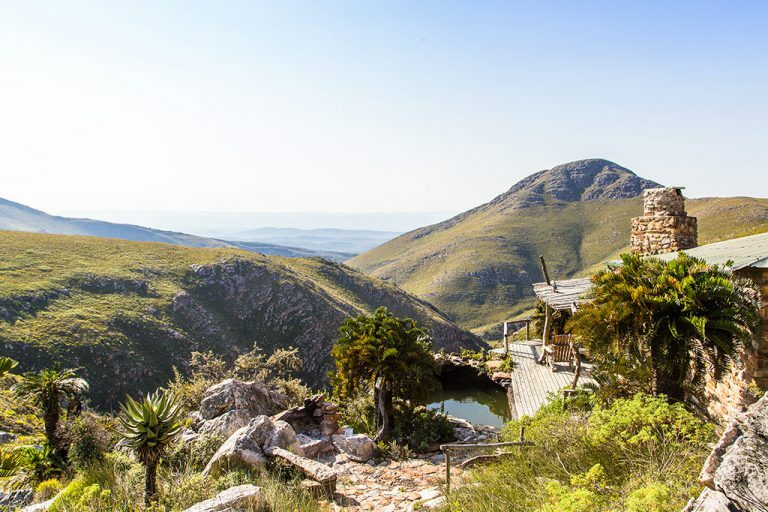 Take in the awesome view of the overlapping mountain range, all the while knowing that you are standing 2200m above sea-level, the only place in South Africa at this height. Highlands Mountain Retreat has been on my travel bucket list for 2 years now, looking at this picture, it's not hard to see why. Whether you're a Capetonian looking to venture out of town or are a Joburger on the lookout for cheap flights from Johannesburg to Cape Town 2018 is absolutely the year to spread your wings! Disclaimer: This post was done in collaboration with Travelstart but the views expressed in this post are my own.